Who can resist a beautiful country home? 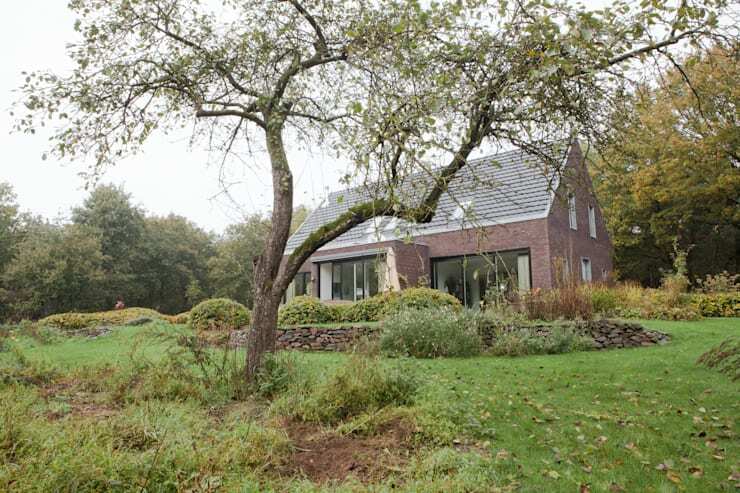 Even better when it's a passive home that uses zero outside energy! Despite being very modern in technology and in some elements of style this home has plenty of traditional elements that make it a pleasant and charming home for the country. 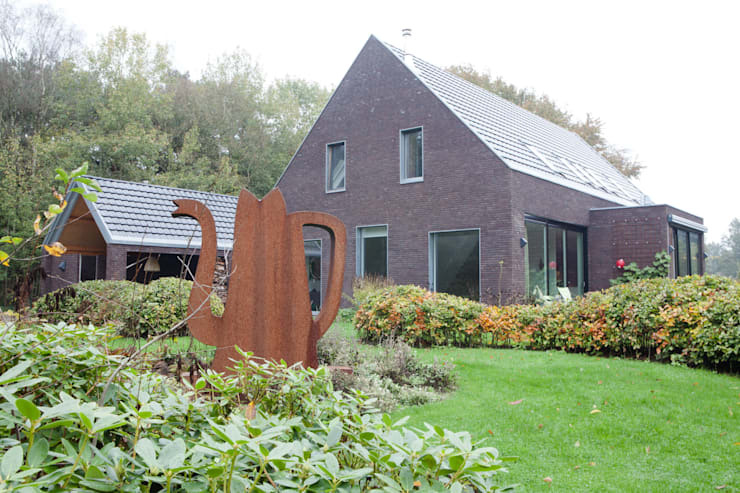 The architects placed a lot of emphasis on the exterior of the home, with great landscaping in the garden, solar panels on the roof of the wood shelter, and plenty of functional features. On the inside the house is much more minimalist, with a welcoming and warm touch of more traditional decor especially in the living room. Let's take a look at the genius combination. The flat front to this home has a textured purple-grey stone that would look even better during a glowing sunset. If the roof doesn't have the right angle or outlook for solar panels you're not out of options. 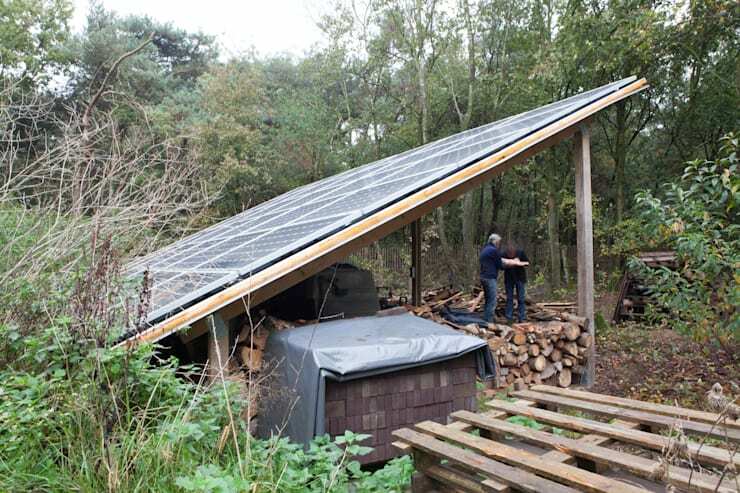 You need some kind of shelter to protect your wood stove fuel, so why not cover it with solar panels? This landscaping is incredible. The round bed makes the home appear slightly elevated, and the perennial bushes will be green most of the year. 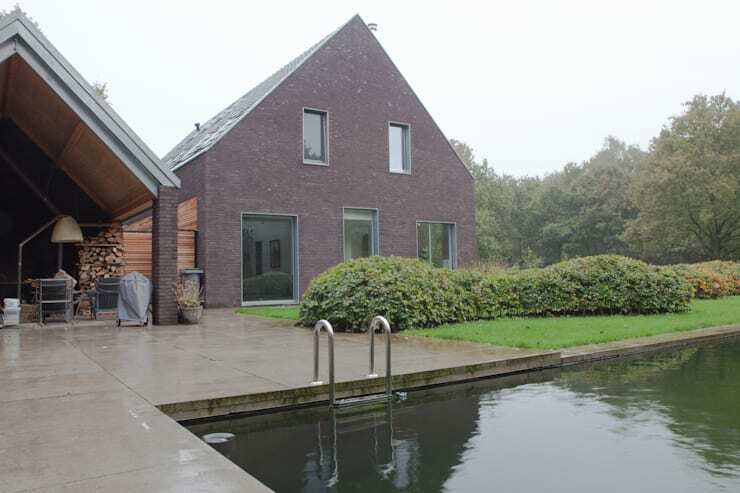 A pool is the perfect compliment to the green landscape surrounding this home. There's no chlorine in this natural pool, and the veranda beside it is the perfect lounge spot. Immediately you can see that the interior of this home is quite minimalist. 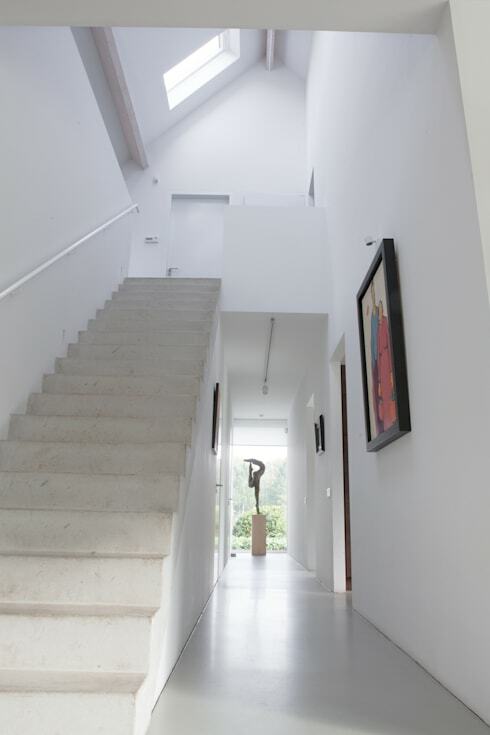 The stairs, walls, floor, and ceiling are all white and almost completely without ornamentation. There's not even trim. 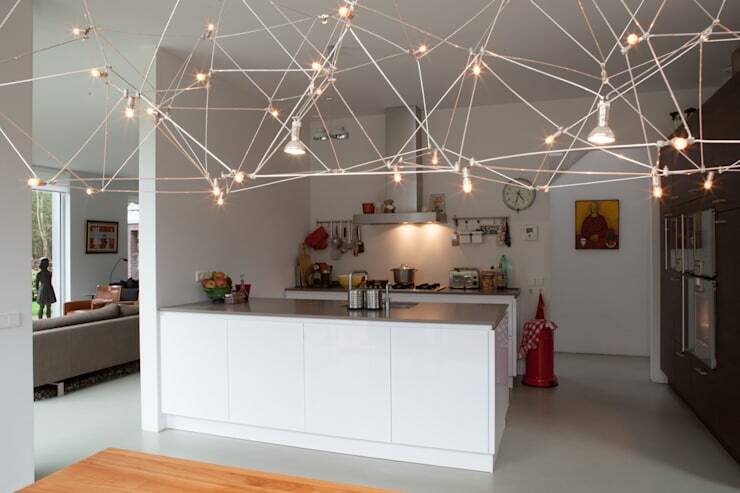 The kitchen feels much more industrial, with a funky metal lighting fixture and a grey wall and counter top. There's plnety of counter-space too. The wood stove and fluffy carpets add in warmth to this space. It also has more colour than the rest of the home, with the bright orange seats. 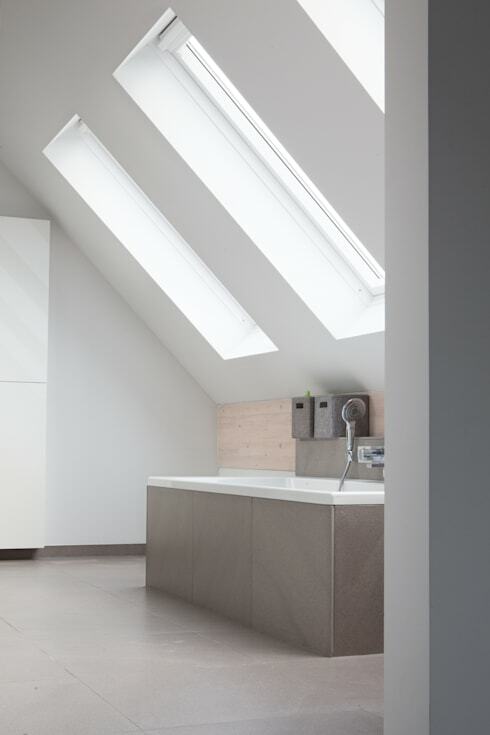 We're back to a very stark minimalism in the upper-floor bathroom. The focus in this space is on light and looking out to the green surroundings. 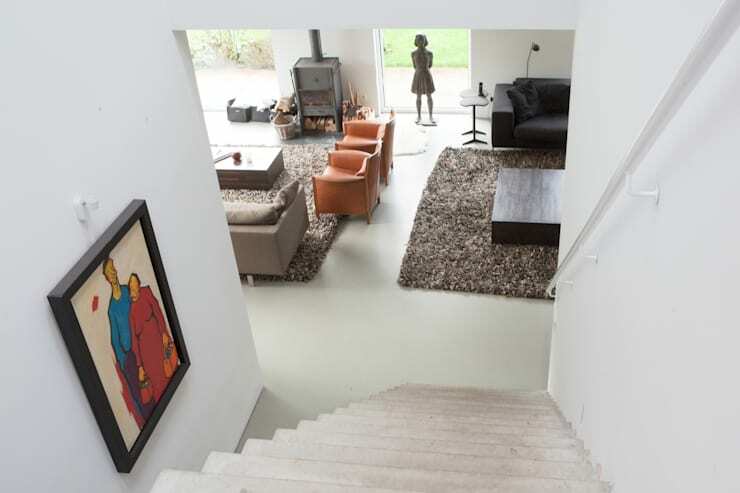 For another modern home surrounded by gorgeous gardens check out this renovation.